Remember our KINGDOM game design kit? You can now order your own game design tool from our partner Inkbox3D. 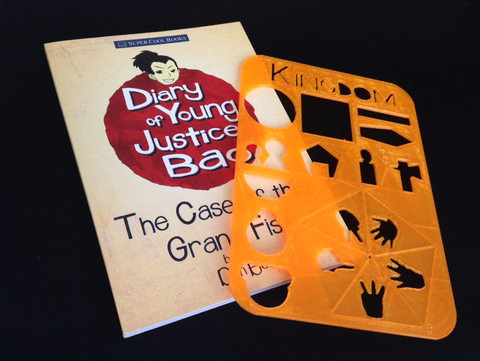 You'll get a 3D printed stencil and a copy of the Diary of Young Justice Bao paperback for just SGD 9.90. It's available at their online store here. Check out this video featuring Eugene Tay of local creative writing school Monsters Under The Bed. He's having fun making up games with his own KINGDOM stencil! You can also watch more KINGDOM videos here.